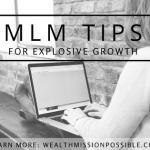 Are you struggling after a network marketing failure? You are not alone. 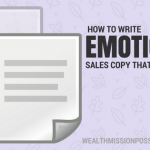 I know how difficult it can be when you put your heart and soul into your business and it falls apart. Believe me, I have had my own MLM failure and it isn’t fun. At one time, everything was going along great in my business and then it slowly started falling apart. It was slow so I didn’t notice right away. Then reality set in. My team fell apart. My income decreased. I felt like a failure. You have to remember that everyone fails at one time or another. Some of the greatest business people in the world have had enormous successes and enormous losses. The key is all in how you handle it! These are tips I used for myself to bounce back from a massive network marketing failure and turn it all around! I hope they will help you to get back on your entrepreneurial journey to success! I know how you feel. Remember? I’ve had my network marketing before fail before. Become strong and more successful than ever, YOU CAN! It’s important to take a moment to mourn your failure in network marketing. Acknowledge it and be sad about it. The key is to NOT to spend a lot of time on this. Too many people mourn the failure of their business for too long. It’s more difficult to get back on your feet when you spend too much time wallowing and doing nothing. Review what might have gone wrong that led to your network marketing failure and LEARN from those mistakes. THEN – Pick yourself up, dust yourself off and move on! OK, you failed at your network marketing business. That’s in the past now. Let it go! Set some realistic goals for yourself. Break down your goals into manageable smaller goals that you can definitely accomplish. Don’t overwhelm yourself. Remember your lessons learned? Keep those in mind when setting your goals. Here’s what I love about network marketing: even if your business falls apart, you can start all over again with the same company. Did your team fall apart? Start a new one! Did all your customers flake out on you? Get new ones! If you are truly down on your company, find a new company whose products and philosophy you love! Keep your lessons learned in mind as your build your new business. Success cannot exist without failure and vice-versa. Happiness can’t exist without sadness. Get back to success habits that will lead you down the path to success in network marketing. Perhaps you fell out of the right daily action habits in your failed MLM business. Get moving again! Failure in your network marketing business is a temporary setback. It’s not permanent unless you want it to be that way. Get back to it. Encourage yourself, learn some new skills, and most important learn from your mistakes. I know exactly why my MLM business failed when it did. I won’t make those same mistakes again. Get over it and move on. 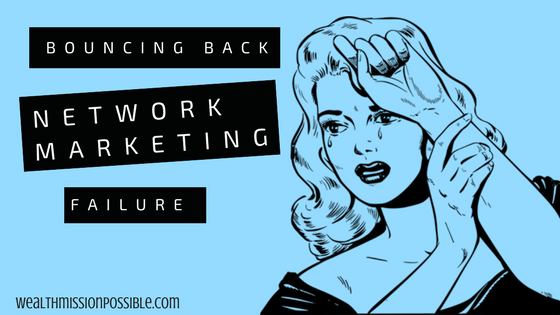 You can bounce back from a failed network marketing business. It’s time to learn some world class skills to build your business! Click here for your FREE training. I’ve been involved in a MLM company for 8 years, and it is an outstanding company, but it has been a struggle for me to achieve success in it. I’ve had customers come and go, I’ve had business partners come and go. I’ve spent more money than I’ve made, and I have had friends and family members avoid me completely, put me down for being in network marketing, and even attempt to poison the opportunity for others whom I know through them. I’ve been at this too long to give up now, but I am at a very low point in my career, and I feel distanced even from the people I have been working with in my local area. At this stage in the game, what do I do to turn this around and succeed? Have you tried online marketing to grow your business?